ESPN’s Craig Custance dropped a big old newsbomb on Caps free agency today, providing updates on the team’s plans for everyone from Braden Holtby (spoiler alert: good news!) to Mike Green (spoiler alert: also good news, depending on your perspective!). In the summer of 2011, the Washington Capitals gave Joel Ward a four-year, $12 million contract. The deal was largely based on Ward’s play over 12 games when Ward scored 13 points during Nashville’s run to the second round under Barry Trotz. In the regular season that year, Ward had scored just 10 goals. He was 31-years-old. Some of George McPhee‘s gambles didn’t work out, but this one did. I have a bad habit of nitpicking the public statements of NHL general managers. I have a ton of respect for their talents, and I think their jobs are very difficult, but they’re also kind of terrible at articulating themselves– or maybe they’re just bad at saying things that are supported by facts. Case in point: Capitals GM Brian MacLellan touting the playoff performance of Tim Gleason. Dmitry Orlov‘s 2014-15 season stunk — if you can even call it a season. After breaking his wrist playing for the gold medal-winning Russian national team at the 2014 World Championships, Orlov was supposed to be playing by the end of September. Instead, he never played an NHL game this year. Orlov had numerous complications, with his return constantly getting delayed. He was finally ready to suit up at the end of March, and the Capitals assigned him to Hershey Bears for a conditioning stint. The 23-year-old played three games and rejoined the Caps, but Orlov had fallen in the depth chart by then. Tim Gleason had supplanted him in the lineup, and Nate Schmidt served as Washington’s seventh defensemen. Head coach Barry Trotz showed little interest in dressing someone who had not played in the NHL for a year. Next season, however, looks to be more promising for Orlov. With Mike Green likely to depart, Orlov could slot into the third pairing alongside fellow RMNB-favorite Schmidt. I spoke Orlov about his rough season on breakdown day. It turns out it wasn’t that fun for him. His English is good though! At age 23, defenseman Mike Green scored 31 goals. His 2008-2009 season was one of the most remarkable scoring performances by a blueliner of all-time. His bright blue Easton Stealth CNT was a lethal weapon. It was just the seventh time in league history a defenseman topped 30 goals. That last player to accomplish the feat, Kevin Hatcher, did it 26 years earlier. The next year, Green’s goal total dropped by 12. He still easily lead all defensemen with 76 points. The Capitals cruised to the Presidents’ Trophy. “I think he’ll be a guy that gets remembered in Washington forever,” Alzner added. Coming into 2014-15, Jay Beagle had never scored more than four goals in a season. For a fourth line center, that’s fine. Under Barry Trotz, however, Beagle’s playing time has increased. When the Caps took the ice against the Leafs on Sunday, Beagle was slotted in the top-six alongside Marcus Johansson and Troy Brouwer. By the end of the game, Beagle was the top-line right wing, a position he has occupied many times this season. But here’s the rub: despite a career-high nine goals and 17 points for Beagle, he brings Alex Ovechkin and Nicklas Backstrom down. I love Beagle. He’s a great face-off man, a solid fourth liner, and a fantastic guy. He is not, however, qualified to play on the first line. Analytics — and the singularly important eye test — back this up. Trotz disagrees though. Let’s Do Thumbs-Up/Thumbs-Down for the Caps Unrestricted Free Agents! We’re 31 days out from the NHL trade deadline on Monday, March 2, 2015, which is also Method Man’s birthday. This Washington team is pretty good, and they’re likely to secure a playoff spot, but they could always be better. Their defense corps is solid for the first time in decades, but they’re one injury away from disaster. And the high price tag on that defense has left the forward lines a bit shallow. With just $2.5 million of cap space (according to NHL numbers), the Capitals don’t have a lot of room with which to get better. That might cause Brian MacLellan, heading into his first trade deadline as general manager, to make some deals. With seven Capitals heading into unrestricted free agency this summer and another eight looking to negotiate new deals as restricted free agents, there’s a lot of potential moves that could be made. With all that in mind, I’ve asked Ian and Pat to join me in playing thumbs-up/thumbs-down on every Caps free agent. Should Caps GM Brian MacLellan Have to Answer for the Filip Forsberg Trade? Yesterday, Capitals general manager Brian MacLellan spoke to the media about the first half of the Caps’ season. A large chunk of the conversation revolved around Mike Green and his upcoming UFA status, which Adam Vingan documented on NBC Washington. MacLellan was also briefly asked about the lopsided Filip Forsberg trade and what he thought of him as a player. He replied honestly. He continued, “If you’re asking if I would like to do a do-over [on the trade]? Yeah. Sure.” Then he nodded his head a few times and flashed a coy smile. This became a national story. Is it even fair for MacLellan to have to answer to this deal nearly two years after it was signed off on by his then-boss George McPhee? RMNB investigates. 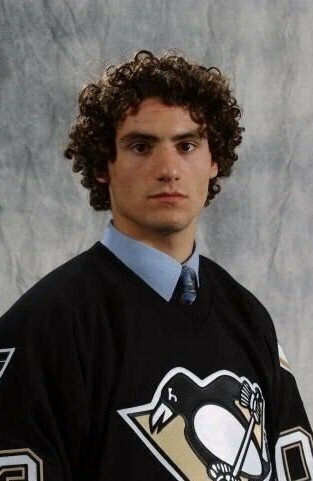 Former Coyotes enforcer Paul Bissonnette, who once looked like this, opened up to Kings blog Mayor’s Manor on Wednesday about his difficult offseason. Biznasty, who The Washington Post’s Alex Prewitt reported in August was close to signing with Washington, confirms that yeah, that totally was the plan, except the Caps couldn’t find the salary space to make it happen. Bissonnete reveals that the Caps were trying to move veteran defenseman John Erskine to make room for him.